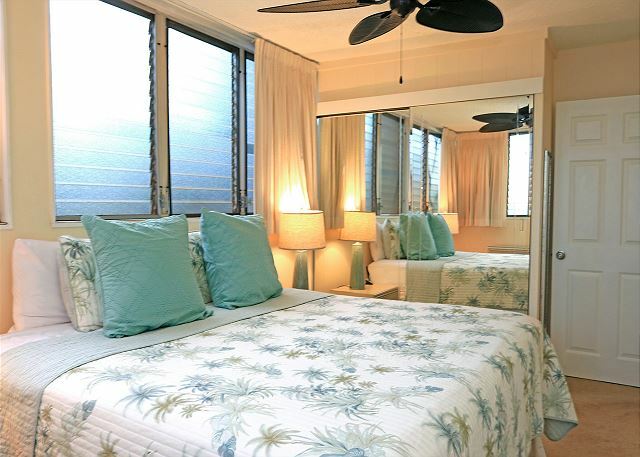 This condo sleeps up to six guests with a king size bed in the master bedroom, two twin sized beds in the 2nd bedroom and a sofa bed in the living room. 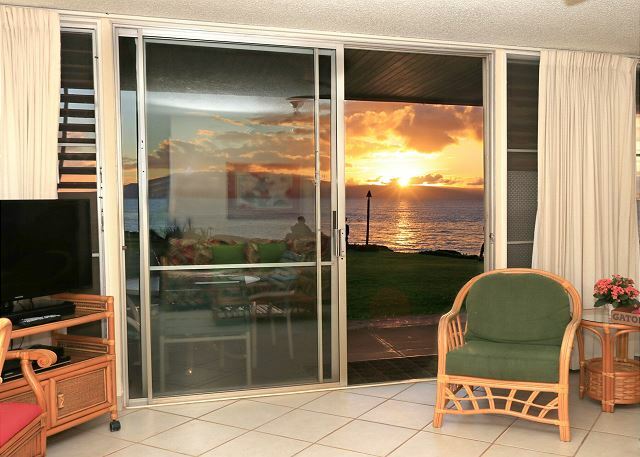 From your condo you will enjoy panoramic views of the majestic islands of Lanai and Molokai on the horizon. 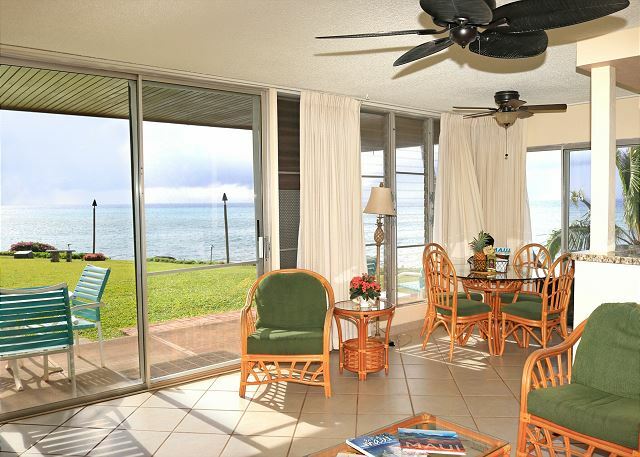 Enjoy sweeping views of the grounds and landscaping, and watch the local sea turtles swimming near the shore. 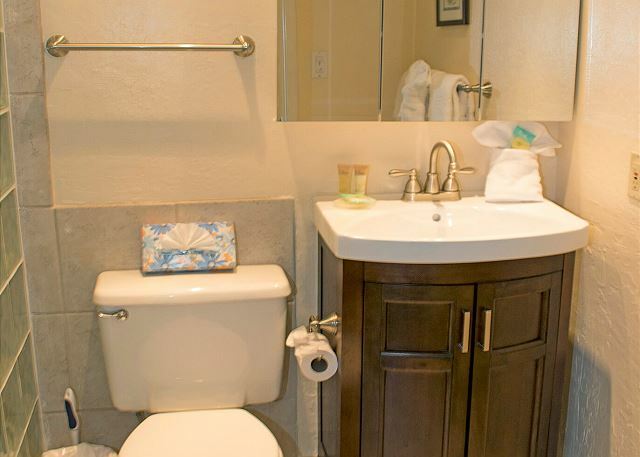 For your indoor entertainment pleasure, cable TV, CD and DVD players are provided. 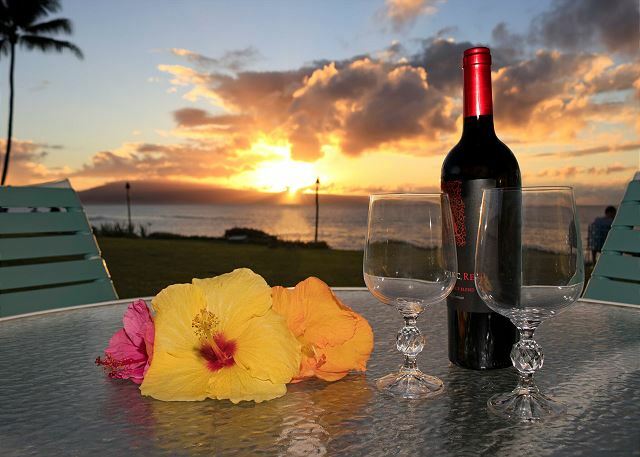 Join new friends and neighbors on the ocean's edge for pupus and mai tais at sunset. Free parking and internet! This is a non smoking/ vaping property. 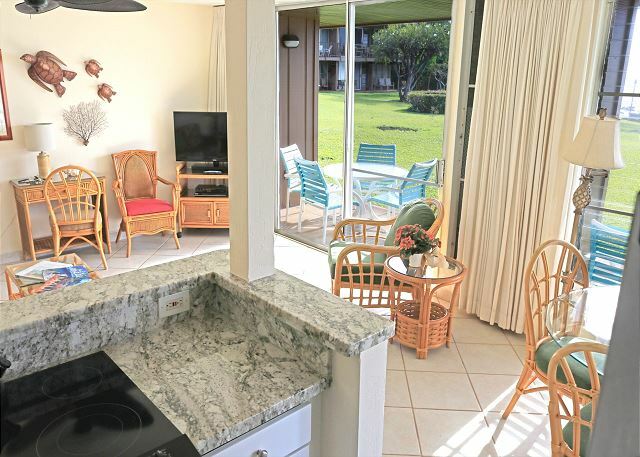 We always have a relaxing and restful time at Polynesian Shores. 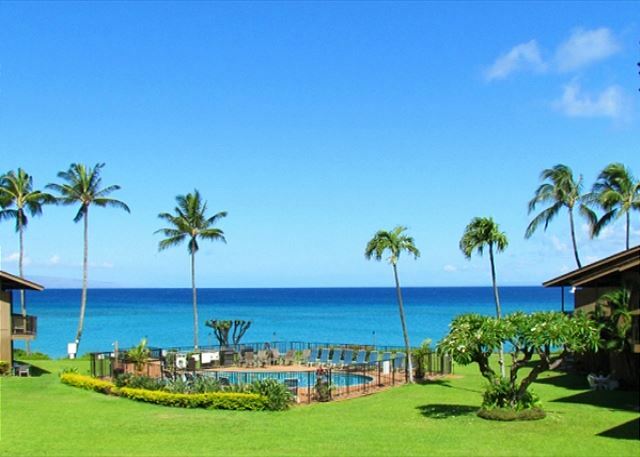 The grounds are beautiful and the views are some of the best on the island, with the most amazing sunsets. Communication with the staff is excellent and they all are attentive to the needs of guests. Unit 101 was comfortable and met all our needs. Our family has stay here many times and will be back. Aloha a ua halawai hou (Until we meet again). A true pleasure having you stay with us! It was outstanding. The view, the accommodations, the staff were all amazing. The pool and the beach exceeded expectations. Traveled with my mother, husband, daughter and two grandchildren. Could not have chosen a better location for our retreat. 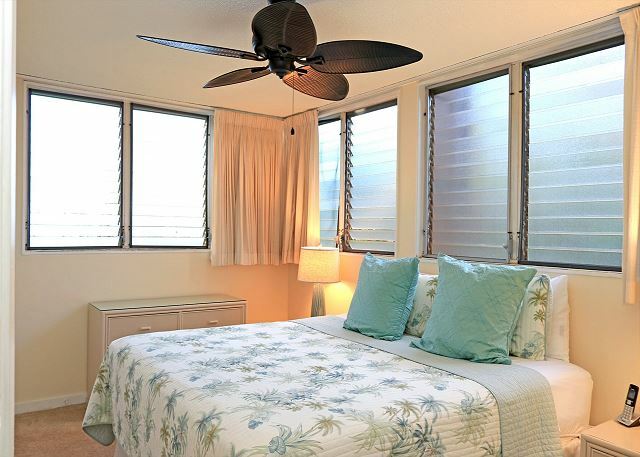 Mahalo for choosing to bring your wonderful "ohana" to stay with us! Loved the privacy of the location, facilities and the numerous turtles feeding on the rocks. Well suited for the 3 little ones who were able to run around and play on the grassed areas. Public Bus service very convenient. Great experience. My favorite condo at PS! Both Bree and the other lady were courteous and helpful. Hoping to be back next year. We would love to have you back next year! After being here in the past, the most recent in June of 2017, we again had a wonderful time. We again, enjoyed your visit with us. See you next time! Our fourth Christmas in Hawaii and another beautiful stay. No place better than right here. We absolutely love this place. Couldn’t get a better staff. Bree is amazing. You guys are awesome! Can't wait until you come back! GREAT FAMILY VACATION WITH 17 IN ATTENDANCE. WE ALL LOVE THIS PLACE. RIGHT ON THE OCEAN WITH GRASSED AREA FOR THE KIDS TO ROAM, SWIMMING POOL FOR BREAK FROM OTHER ACTIVITIES, SNORKLING RIGHT THERE, TURTLES TO ENTERTAIN EVERY DAY, STARS TO VIEW EACH NIGHT. WE LOVE IT EACH TIME WE COME BACK. Your family is awesome!! See you next time!!! Mahalo for your feedback. We are working on those screens in the near future! Have a great summer! This unit is the perfect location. With almost panoramic views it can't be beat. 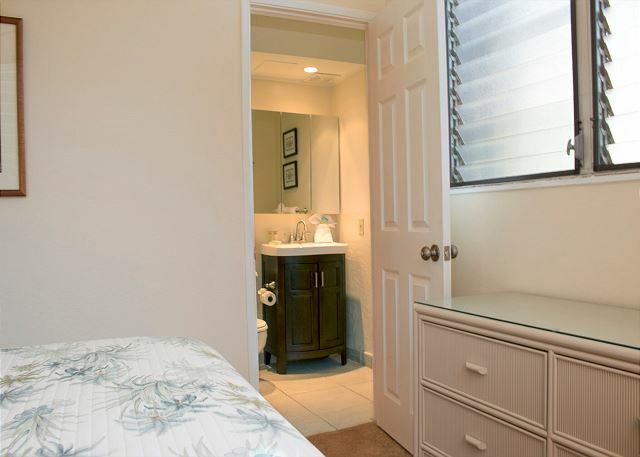 It's a spacious 2 bedroom/2 bath unit. The kitchen is well stocked with every utensil imaginable. 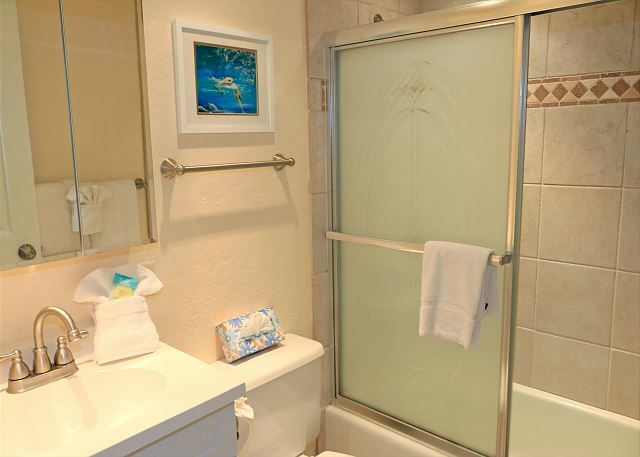 Stocked with plenty of bath towels, beach towels,and bedding. Love having the laundry room on the property especially with our 30 day stay. We have been coming here for 5 years and love the staff and meeting new people. It's our home away from home. Watching the whales and turtles is an added treat. The pool is always clean and refreshing. We use it often. Great location for just about anywhere you want to explore. The grounds are well kept and lovely. We had to wrestle with the sliding screen doors but upgrades are on the way as the units been sold. All around great place. Always a pleasure having you stay with us and look forward to next year! We had a great stay in unit 101 - lots of space for us and our two teenagers. The condo was clean and had all of the kitchen amenities we needed. Loved gathering with others to watch the sun set, with drinks in hand. We enjoyed having you and your family stay with us! 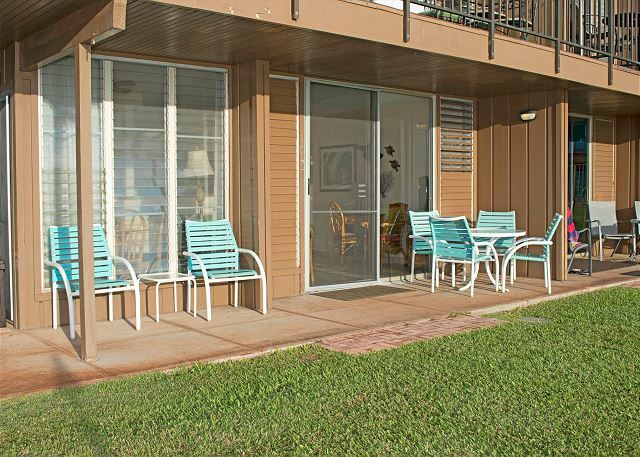 We loved unit 101, right on the corner with the trade winds blowing and the sound of the ocean waves. 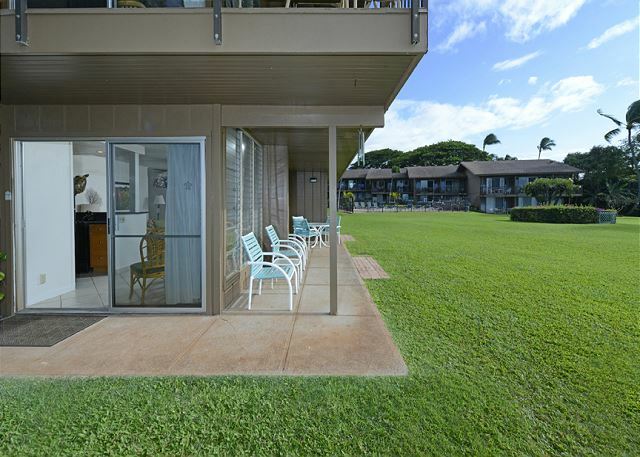 The ground level unit was also great for walking out with morning coffee to watch the turtle activity along the shore and quick access to the pool. 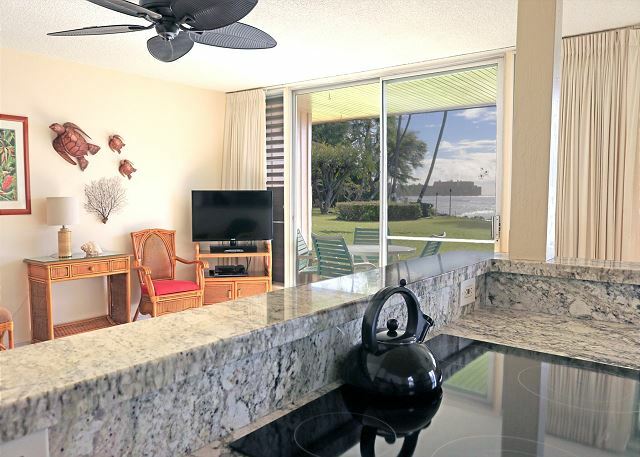 Overall the complex is very clean, beautiful gardens with orchids, plumeria and other happy, tropical plants. 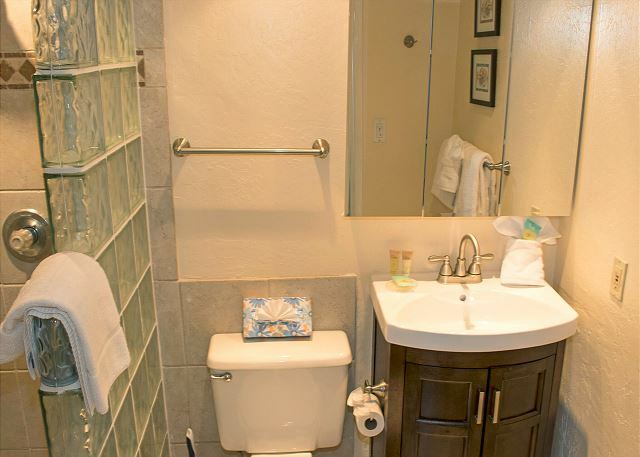 The property managent, Bree and Jeff were both very friendly, helpful and accommodating! There is no doubt we will come again to the same spot. Some suggestions for unit 101: provide beach chairs, body boards and snorkel gear and more beach towels:) the unit was well stocked and comfortable, but slightly dated. We enjoyed your visiting us and look forward to the next time you come to Maui! My family has stayed at the Polynesian Shores for years. It is home away from home. Kid friendly, open grassy area with a nice pool. I like that it is not a large complex. GREAT shoreline with a small beach area you can walk to. The kids enjoyed searching rocks for little sea creatures. THE turtles are an awesome sight to see. Lovely place. 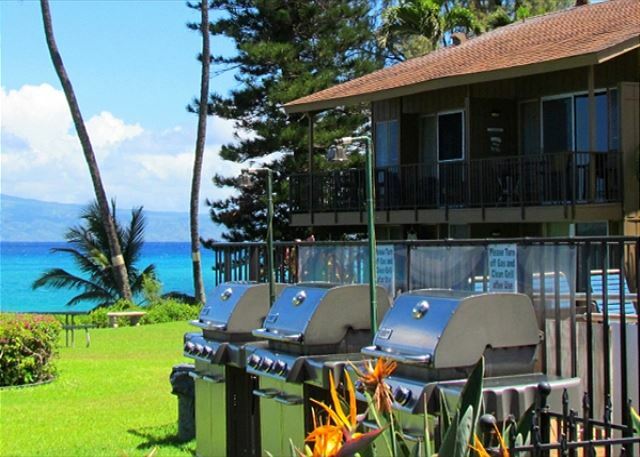 Clean, well stocked kitchens Great views of Lanai and Molokwai. 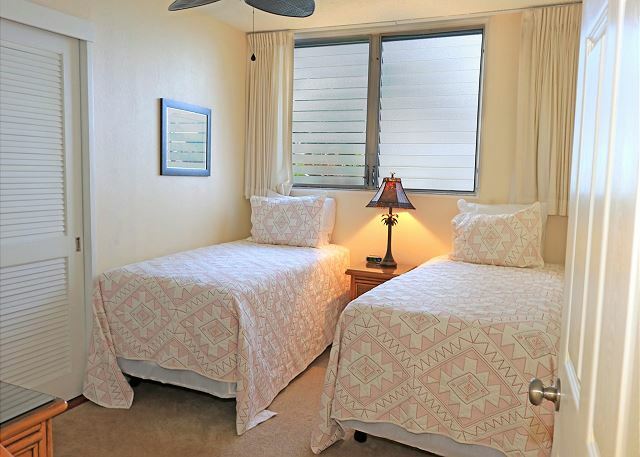 We are so pleased to know you enjoyed our cozy little property and hope next time you visit Maui you come see us again! My 11th trip to Maui and probably my 10th time staying here. This is the 2nd time I rented unit 101. It is a great spot and comfortable. We meet the owner when my son lived there, so we are happy to stay in their unit. We love cooking on the Weber grills. It is great having a full size kitchen. 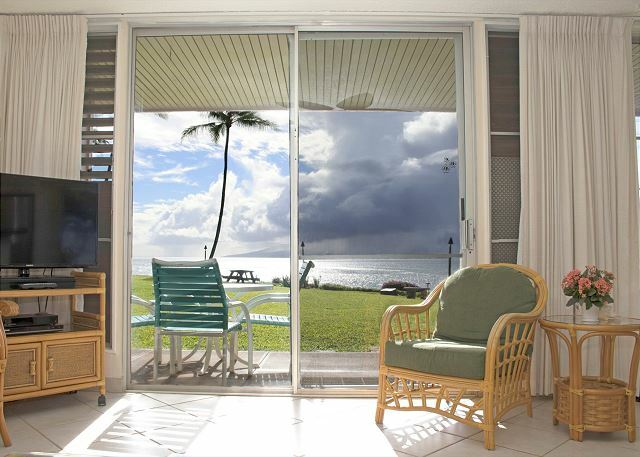 Just sitting on the lanai drinking coffee is great. I saw some of the most beautiful sunsets. I will probably be back in a couple of years. We have been coming to Polynesian Shores for twenty years and always enjoy it. 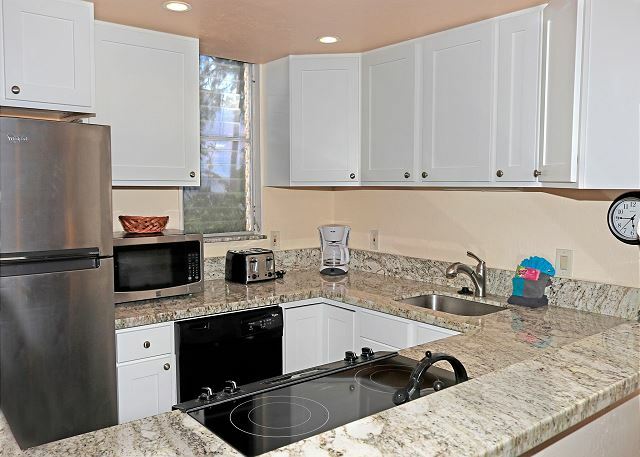 It was our first time in this end unit, which is wonderfully located on the property. Being right next to the water and hearing the waves and seeing lots of turtles and a beautiful coastline with beautiful sunsets.. What else can we ask for? We got married 10 years ago at that exact spot that you're showing on your picture. Your condo is really cute, the only thing that I would suggest is to purchase better mattresses. Spend 10 days in condo 101 over Thanksgiving. 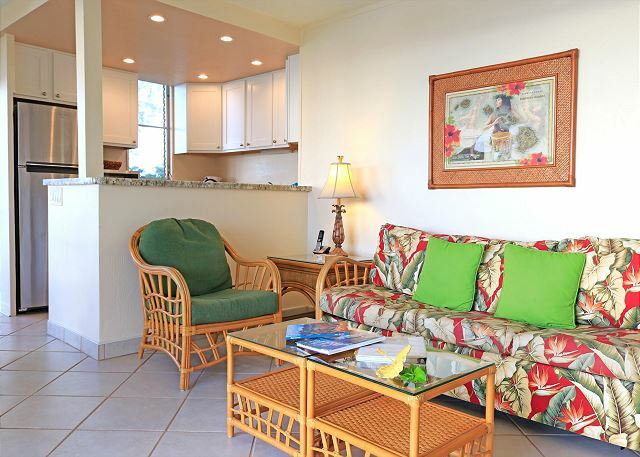 Location was beautiful and the condo had everything that you could need. Right next to ocean (maybe 50 feet). Some nights the waves were a little loud but it was wonderful to listen to the ocean. Would go back in heart-beat. All the staff were so helpful and friendly and the there was a wonderful friendly atmosphere between everyone staying at the location. Highly recommend!! 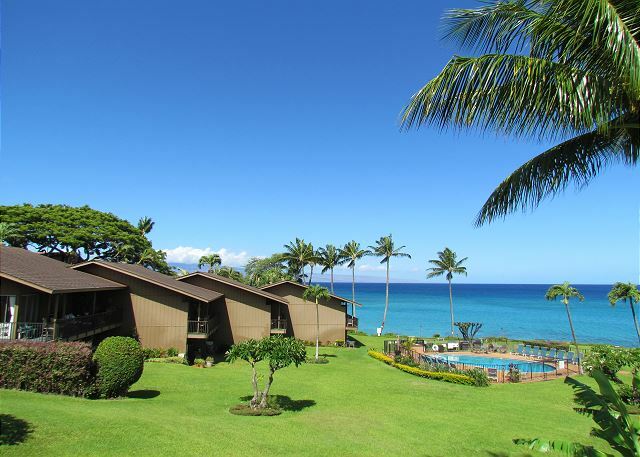 We spent 12 days at the Polynesian Shores in Maui. Breathtaking views, unit 101, the absolute best, but they all have gorgeous views. 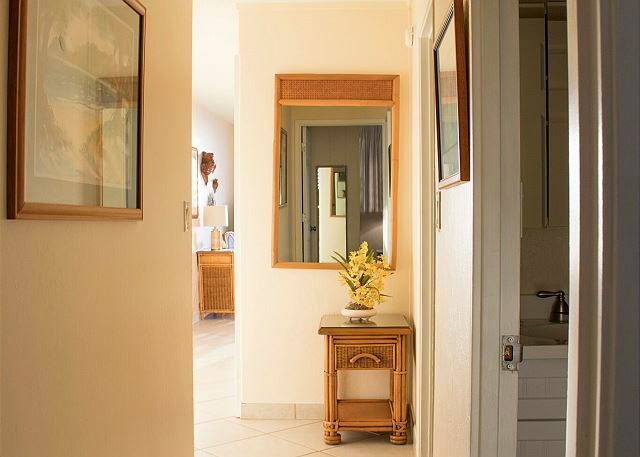 The property was spotless, clean, well manicured and taken care of. The workers and those that live on the premises are all very nice, friendly and helpful. We vacationed with our 2 1/2 year granddaughter. Felt very safe and comfortable with her having fun on grass, around the pool, tide pools (of course with adult supervision at all times). But very nice. 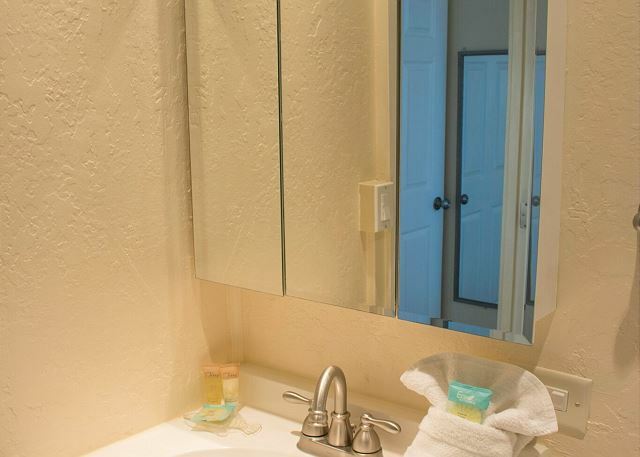 So much to offer on 1 property. Clean Beach with reefs everywhere (turtles galore), fish, tide pools, view (amazing), swimming pool, beach toys and some beach toys. We had a great time and we will return again and we will stay at the Polynesian Shores. Loved it! We just returned from a two week vacation. This is our third time staying at Polynesian Shores Resort. I will sum it up very easily. You couldn't ask for more. They are the most accommodating and such a clean well managed resort! Our experience at the Polynesian Shores was fantastic as always. We will continue to come back year after year. We had a nice vacation in PS 101. Spent 10 days enjoying sun and surf. 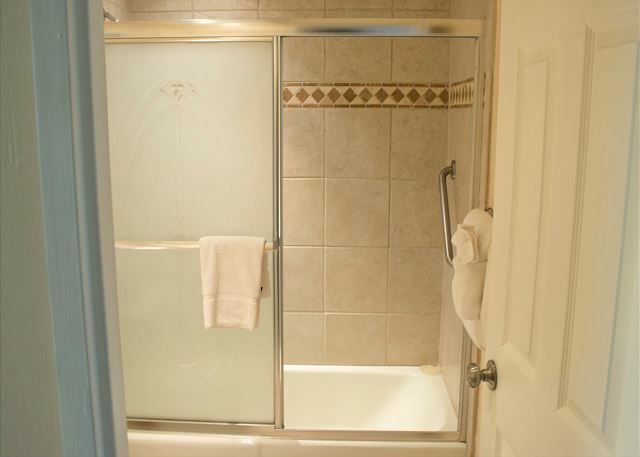 Unit is in great location and spacious. 1st floor units hear 2nd floor noise. Unit was clean and stocked with necessary supplies, cookware, etc. We could have used boogie boards, beach chairs, and umbrellas but worked it out. This is our second time staying at Polynesian Shores and both visits have been exceptional. 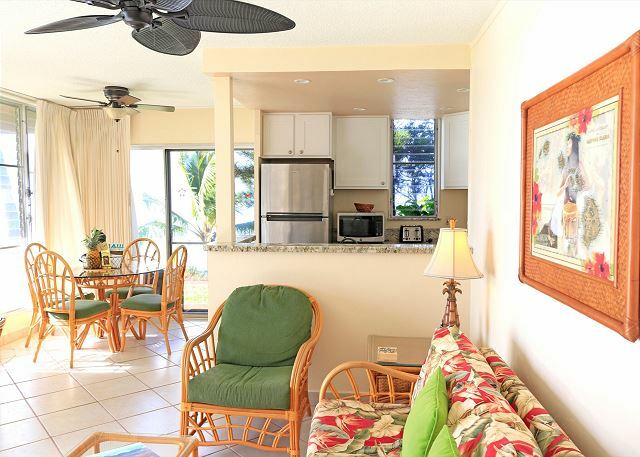 The staff, setting, sunrises and sunsets, turtles, wonderful condo that had everything we needed - every aspect of our relaxing stay was amazing.